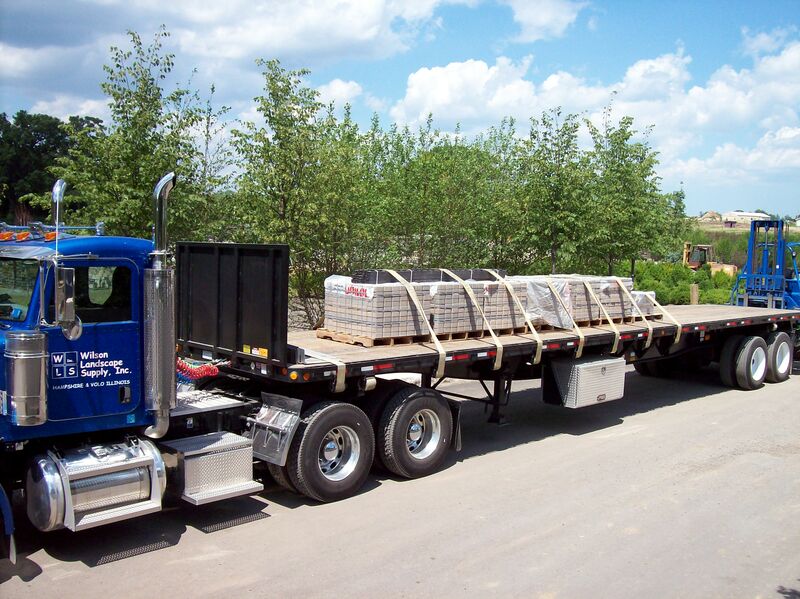 Let Wilson Nurseries, Inc. and Wilson Landscape Supply, Inc. delivery all of your nursery stock and hardgoods products directly to your jobsite or yard. Save time and money by letting us do the driving! Delivery is available within a 35 mile radius of any of our locations. Minimum order is $1,500 before taxes. Don’t forget, you can combine plants & hardgoods to reach the delivery minimum! A company representative must be on site to accept and sign for your delivery. Delivery includes dropping the material in a staged area. A forklift can be added to flatbed deliveries for an additional charge. Please note that forklifts will not drive on grass areas or place plants in pre-dug holes.